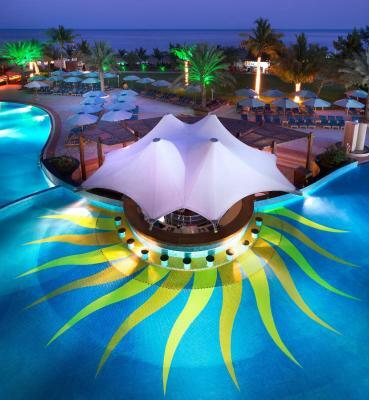 Lock in a great price for Le Meridien Al Aqah Beach Resort – rated 8.5 by recent guests! breakfast was nice and the hotel is great. Nice Facilities and amazing for kids. 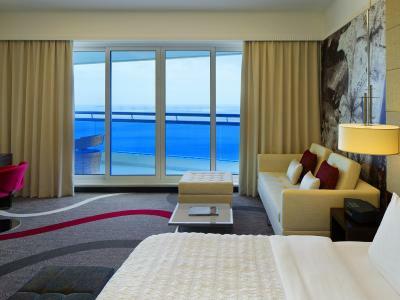 Rooms are amazing with a big balcony and lovely view. 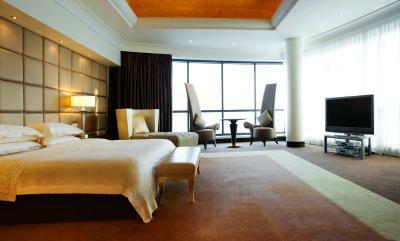 Rooms are exceptionally clean and throughout your stay they make sure you have enough coffee, tea, water, etc. there are so many activities and they hand out a newsletter daily for activities and weather forecast. Buffet spread was awesome and the views from balcony was splendid. We thoroughly enjoyed the stay , especially my 9 year old daughter . Would definitely come back . Lovely hotel / amazing room and friendly and helpful staff. Mr. Ahmed in reception kindly upgraded us to an ocean view room instead of a standard room for our second night stay. Nice clean sandy beach . Wide array of activities to do :) we never got bored. Property was huge, great for families. 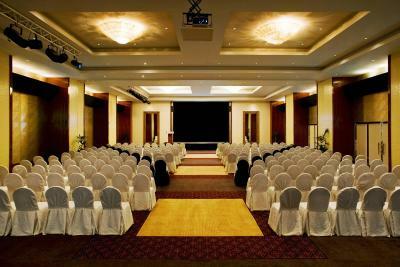 Hotel is equiped for people with disability or wheelchair, great job! Pool was clean, thumbs up! Great service by Rose (front desk), views restaurant manager (lady) Ranjan (spa manager) and activities coordinator (by the pool, cool and funny guy). Overall a great stay! Will definitely come back again! 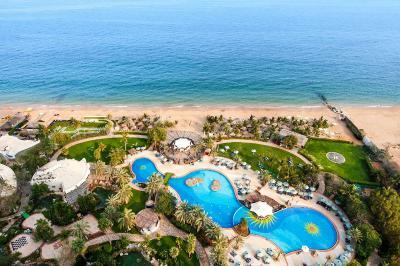 Le Meridien Al Aqah Beach Resort This rating is a reflection of how the property compares to the industry standard when it comes to price, facilities and services available. It's based on a self-evaluation by the property. Use this rating to help choose your stay! One of our best sellers in Al Aqah! 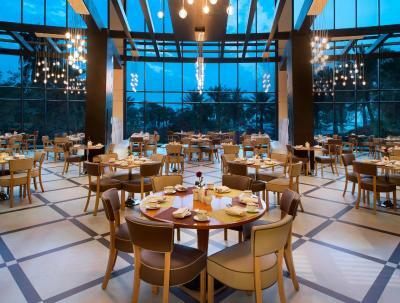 In a prime location with panoramic views of the Indian Ocean on one side and the Hajar Mountains on the other, Le Meridien Al Aqah is a 5-star hotel featuring lavish facilities. An airport shuttle is available upon request. 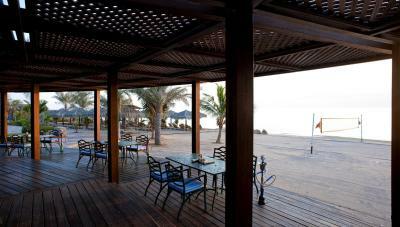 The hotel’s guest rooms are very spacious and all offer views of the sandy beach. 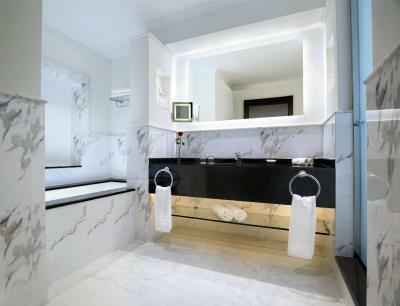 The rooms also feature an over-size luxurious bathroom, with a separate walk-in shower and a bathtub. 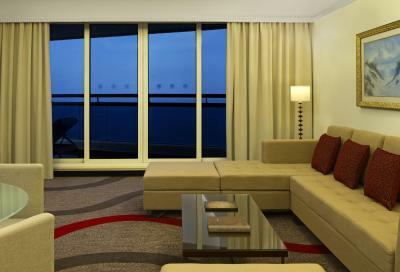 Many of the rooms also have private balconies. 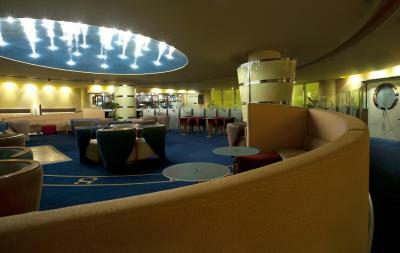 Le Meridien Al Aqah’s main restaurant serves breakfast, lunch and dinner, including themed buffets. 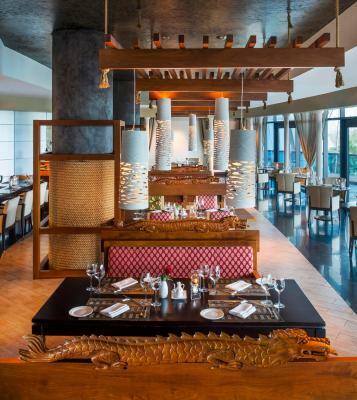 There are restaurants that specialize in Indian and Thai cuisine, as well as a beachfront restaurant that provides outdoor dining. 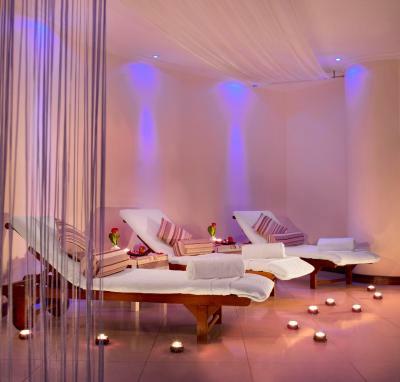 Recreational facilities at the hotel include a large free-form swimming pool, a luxurious spa offering a range of treatments, a fitness center and a water sports center. 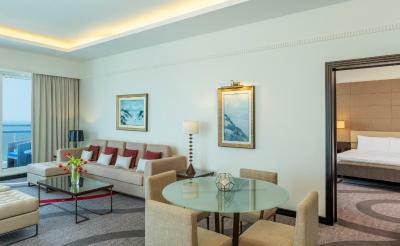 Younger guests at the hotel can enjoy the Penguin Club. 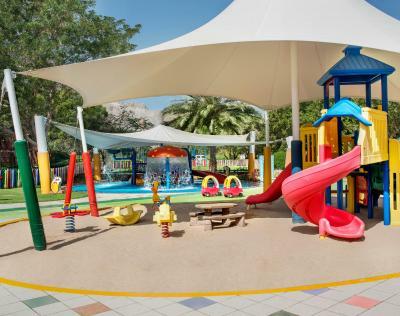 There is also a children's swimming pool and a playground. This property also has one of the top-rated locations in Al Aqah! Guests are happier about it compared to other properties in the area. This property is also rated for the best value in Al Aqah! Guests are getting more for their money when compared to other properties in this city. 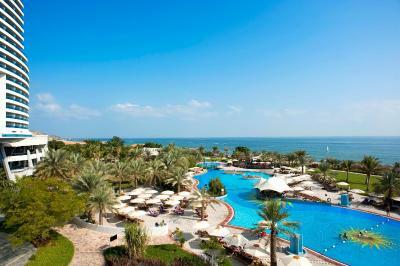 When would you like to stay at Le Meridien Al Aqah Beach Resort? 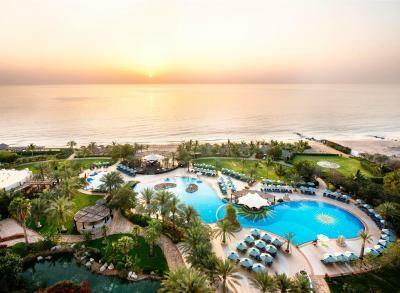 Le Méridien Al Aqah beach resort is a short 90-minute drive from Dubai International Airport making it a perfect getaway from the hustle and bustle of the city. The resort is located on a 230 m stretch of a pristine beach and fronted by the Indian Ocean with the breathtaking Hajar Mountains forming the backdrop. 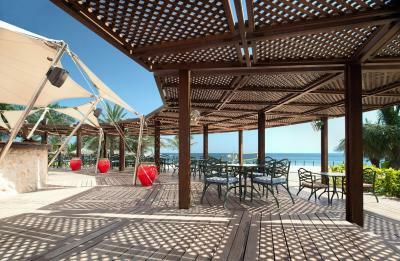 House Rules Le Meridien Al Aqah Beach Resort takes special requests – add in the next step! 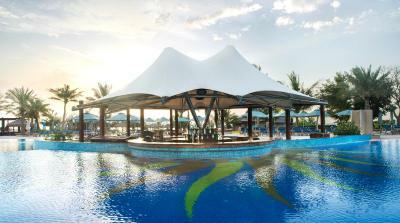 Le Meridien Al Aqah Beach Resort accepts these cards and reserves the right to temporarily hold an amount prior to arrival. 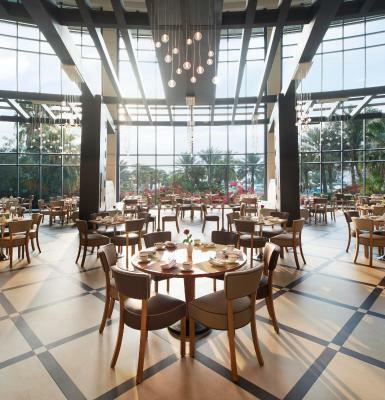 In compliance with government regulations, the hotel will ask for either a passport with valid entry visa or UAE identity card to be presented at the reception desk upon arrival. Please note that hotel refuses to accommodate guests under the age of 21. Please note that if the rate is on half board, it includes buffet breakfast and dinner with tea/coffee and water only. 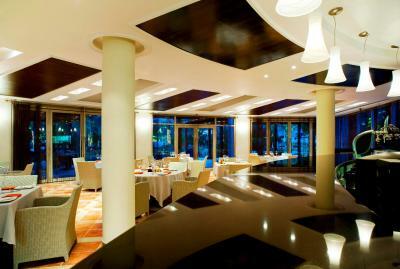 If the rate is on full board, it includes buffet breakfast, lunch and dinner with tea/coffee and water only. New Year Gala Dinner is Mandatory on 31st night with additional charges. Please contact the hotel for more information. 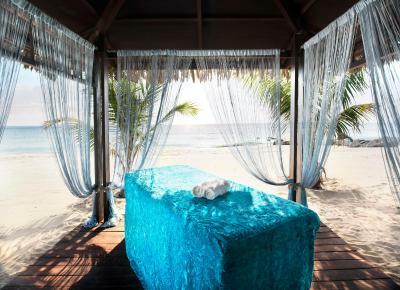 Nothing to complain about, everything exceeds the expectations..
Lovely staff, and very nice place for family holidays.. 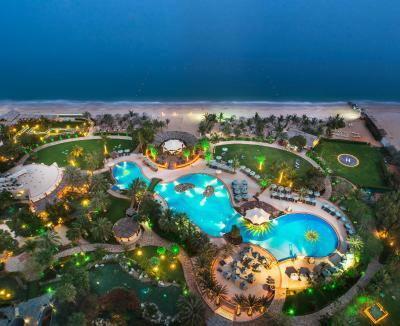 Although the hotel is with a nice coastal location it is very far from any more spectacular UAE attractions. 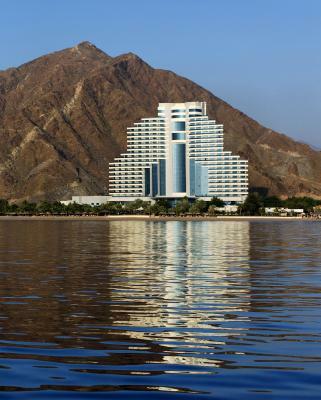 The hotel offers a free shuttle service to Dubai, but only twice per week - even then, a return trip is 5hours long, which leaves little room for remote activities. We did not see nearby 'attractions' as worth visiting. 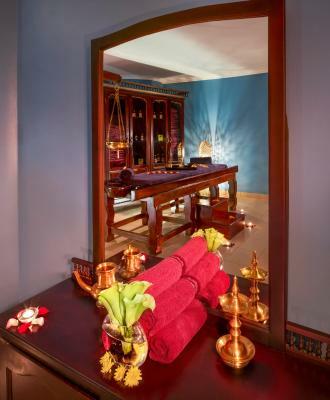 The staff is all very polite, however are not trained sufficiently and not 'polished' enough for a 5-star hotel. The service at the main buffet restaurant seems disorganized and frantic. The breakfast/dinner menu should probably satisfy the majority of tastes however is equally not deserving a 5-star rating. Most of the staff in the kids entertainment area do not seem engaged in kids activities. Our older child (9) was complaining that some of the activities were poorly managed/not imaginative. A lot of the activities are charged as extras (e.g use of the hotel's mini-golf course), this should not be acceptable. The prices of some of the incidentals are too high - as example, the beach grill restaurant offers a steak for dinner for approx. 40 EUR, and the price is not discounted even if you're on a half-board regime (which could be fine depending on the quality of food, service and atmosphere, however seeing the restaurant setting alone did not drive us to choose to sit for dinner at these prices). I would especially like to emphasize the noticable difference in menu, staff, child activities content etc. (which were all better in quality) on Fridays and Saturdays (Emirati non-working days, when there is a lot of local tourists) vs. other weekdays. This is our fourth return to the UEA for holidays and I can tell you that sadly, this Marriott is certainly not the only hotel that has this policy. This feels unfair as each day of our stay is priced the same and so we should expect the same (high) quality of service each day of the week. Should not be the case in a 5-star Marriott hotel. 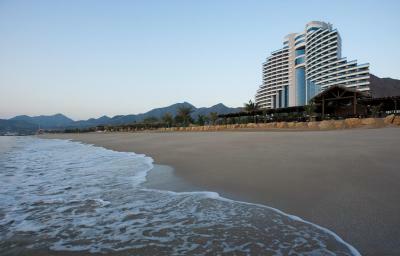 The hotel is located on a nice stretch of beach. The beach is overlooking open waters. 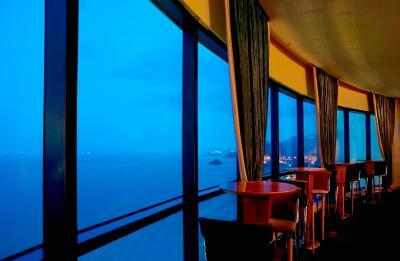 Each room of the hotel has a sea view which is spectacular. Hotel is well equipped for a stay with children. 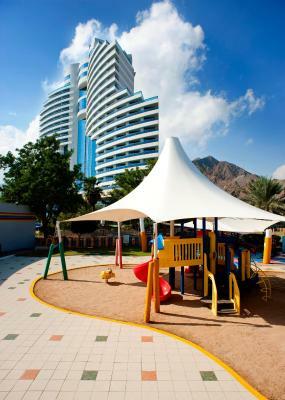 The kids club has excellent facilities. The pool is very big and suites all ages/capability of swimmers. The food served by the beach/pool bar is excellent. 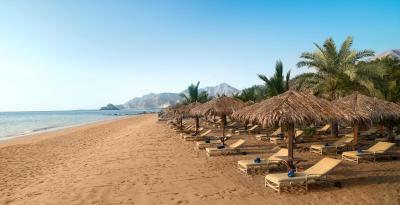 Great breakfast, great resort, great beach, great fitness center and spa. Great everything. 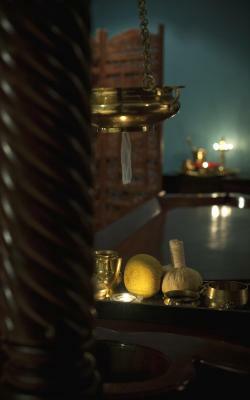 Will be still on the top list in terms of staff quality, food quality, ambiance and cleanliness. 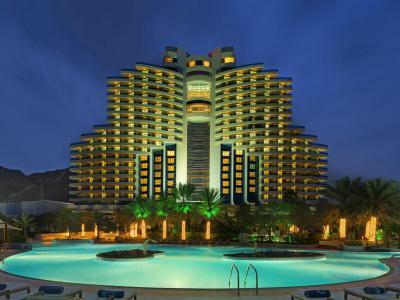 One of the top places for vacations with family and kids 4 years in a row now for spring break :), you will really enjoy your time there, very comfortable and smooth stay that you can get and all rooms are sea view. The water pressure from the showers in the bathroom was too less.